Illustrated entierly with images from Norse mythology, and the lives of the Viking people. 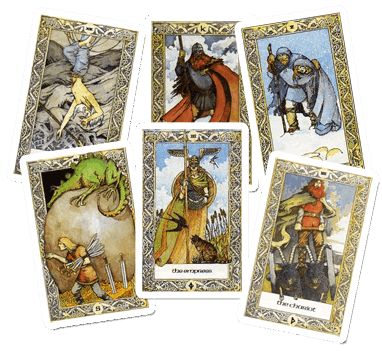 The Norse Tarot is only available from the author and illustrator Clive Barrett. Purchace a copy here, or from his Etsy store.